A Uyghur man at the weekly market at Opal (Upal), a village along the Karokoram Highway (50 km. southwest of Kashgar) which follows the old Silk Road route from China to Pakistan, Xinjiang Province, China. 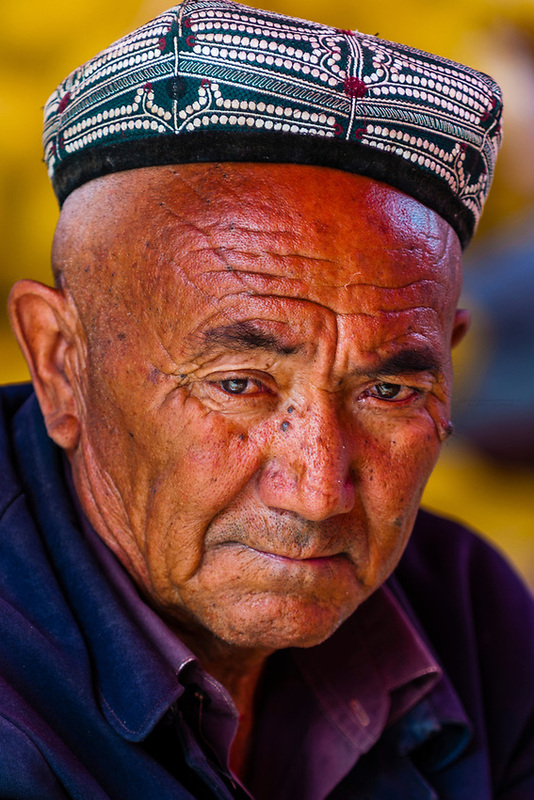 Uyghur people are a Central Asian people of Muslim Turkic origin.